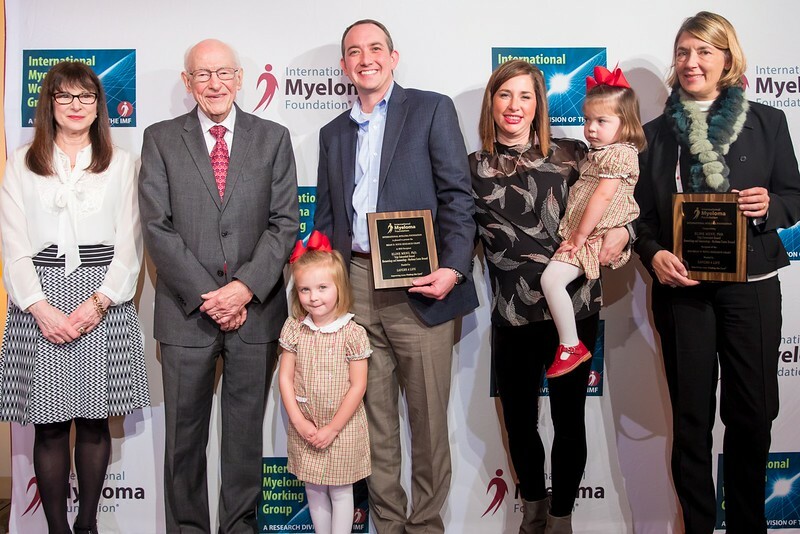 [From Left to Right:] IMF Founder, President & CEO Susie Durie, esteemed myeloma researcher Robert A. Kyle, myeloma patient and IMF volunteer fundraiser Kent Oliver, wife Candace Oliver with daughters Annie and Charlotte. Kent’s “Laughs 4 Life” event supported a research award for the work of Eline Menu, PhD. Accepting on behalf of Dr. Menu was Dr. Vanderkirken.